Yesterday I had the opportunity to ride in several electric and hybrid cars. I already wrote about how I think hybrid vehicles are good stepping stones towards more sustainable personal transportation. One of the comments one my previous post made the valid point that hybrids are not the ultimate answer. I already posted my response to that person so I will not go in to detail here. With that in mind I now wish to share my experience with “The Metro Buddy”. When I first saw this car my first response was “Whoa that is tiny.” The response made it pretty obvious to the representative standing with in ear shot that I was thinking about the car in the wrong way. When he approached me and asked me if I needed help, I asked how anything that small could be practical. What follows is a summary of the discussion I had with the representative from Elbil Norge AS (The company behind The Metro Buddy). Basically, the metro buddy is designed to work in tangent with an efficient mass transportation system to make moving around in a city as easy and eco-friendly as possible. The system works around the idea that people will use mass transportation to travel to busy city centers. From there people would rent these cars for the day to travel around the area. These cars are completely electric and have more than enough power to move people around the city in an efficient and comfortable manner. The program that uses these cars costs $240 a year to be a member of. The members receives a card with a code on it that allows them to reserve a Metro Buddy over the internet or phone for whatever time they need it. When they arrive the Metro Buddy is clean and fully charged. From there they can take it where they please. It is about $20 an hour to keep the car up to 5 hours; if you keep the car for more than five hours then you pay a flat rate of about $100 for the entire day. The car is able to travel at standard city speeds. Unfortunately, the car’s max speed is about 10km lower than standard highway speeds. However, given the size of the car you probably wouldn’t want to take it on long trips anyways. The car is obviously meant for two people and some light cargo. If you were to attempt to fit everything for a weekend getaway the car would be very uncomfortable. However, the car is very quick and is easy to maneuver in city traffic. 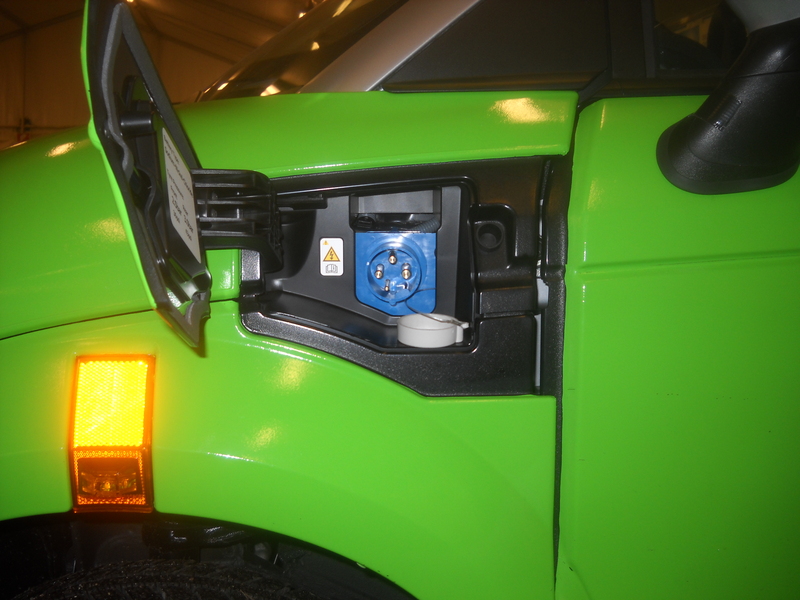 The company behind the Metro Buddy is constantly working with their partners to make improvements to both the vehicles and the system associated with it. The representative that drove me around hinted that there may be plans to produce a slightly larger (still completely electric) version of the metro buddy in the near future. All of this is very exciting from both a research standpoint and a transportation standpoint. 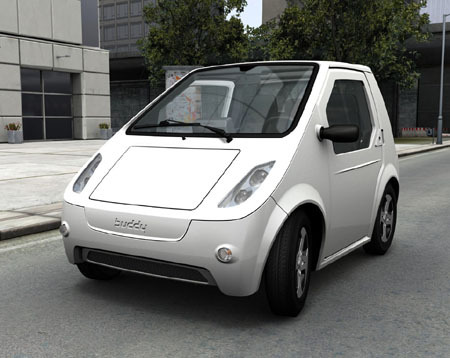 The Metro Buddy is helping inch electric cars closer to the mainstream, while providing a very convenient means of transportation for those who do not have access to an automobile or do not wish to drive their normal size car in the city. Unfortunately, a system like this is still far off in the US. There is a technical challenge with the US being far behind Europe in mass transit infrastructure (this is especially true in Michigan). Also, for these cars to be really considered sustainable they need to get their power from renewable sources of energy. Perhaps the biggest hurdle is gathering the public support for this system. People in the US have been slow to buy in to the idea of public transportation, people are slowly becoming more open to the idea, however it will be some time before there is widespread support for this system. Regardless of how one feels about this system it is a good example of how creative ideas can help solve the climate change problem. I am fortunate enough to be able to see many of these ideas first hand in Copenhagen. I hope that many of you find these ideas as interesting as I do. Copenhagen: What’s going on here?